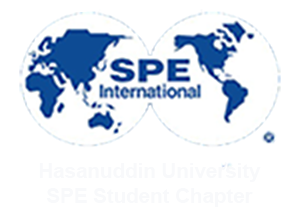 In November 2015, SPE unhas sc participate at Integreted Petroleum Engineering Competition (IPEC) held by SPE STT Migas Balikpapan Student Chapter. SPE Unhas sc team consist of La Ode Marzujriban, Ikawati Basri, Nur Asyriyanti Bagenda, Albertus Pakalla, Dewi Rahma Ahmadi, and Riska Awalia Lestari . There were two competition for undergraduate in IPEC, viz student paper competition and the marketers. These two follow by five university that is Hasanuddin University, Sepuluh November Institute of Technology, Padjajaran University, Petronas Institute of Technology, and STT Migas Balikpapan. In Student paper contest category, La Ode Marzujriban and Ikawati Basri paper with titled “Shale gas Re-Exploration Concept for Production Rate Issues in Mature Field In Indonesia” has selected to be the winner and Riska Awalia Lestari team paper with titled “Re perforating Based On Geomechanial Calculation to Increase the Oil and Gas Production Rate in Mature Field” become The Runner Up. And The Second Runner Up won by STT Migas Balikpapan. While in The Marketers category, Nur Asyriyanti Bagenda and Albertus Pakalla team selected to be the second runner up. In the first place as the winner is Institute of Technology Sepuluh November and in the second place as the runner up is STT Migas Balikpapan. During the competition, there were 3 capable judges from Oil and Gas Industry. Each Participant was give the presentation that last 15 minutes, plus an additional 10 minutes for question and answer session. “Join Competition is one of the way to increase our capability” said Ika.